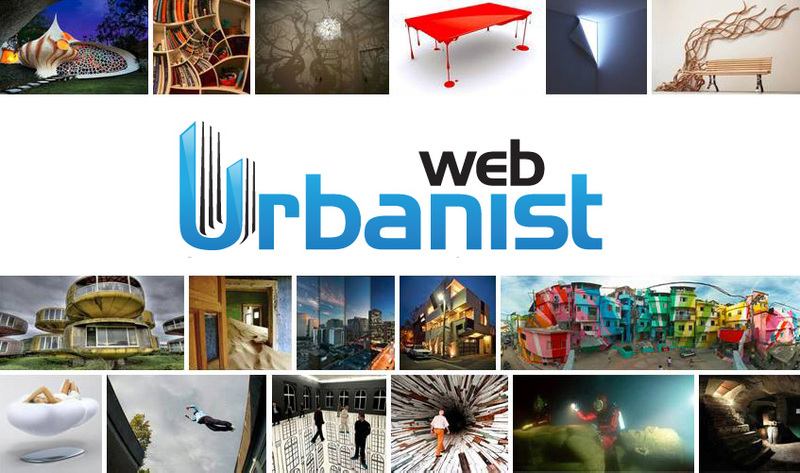 As any experienced urbanist can tell you, city life is rarely dull and this year has proven no exception – from traffic-topping articles to staff-picked stories, here are WebUrbanist’s must-read highlights of 2013. Skim below and skip ahead as desired, but be sure to click the blue links inline along the way for full article access. Share your favorites with family and friends … and thank you, as always, for reading! Starting with the world of architectural anomalies of the West, a London skyscraper became a global sensation when its curved glass surface began starting fires in neighboring structures. Many readers were also amazed to discover faux facades hiding everything from train tunnels to power stations in plain sight in cities including New York, Toronto and Paris. 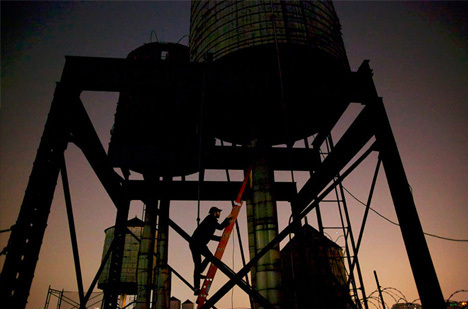 Speaking of NYC and secrets, don’t forget this temporary abandoned water tower-turned-speakeasy on a Brooklyn rooftop. Meanwhile, in the East, we witnessed a Tokyo company add a top-down twist to building demolition in Japan. 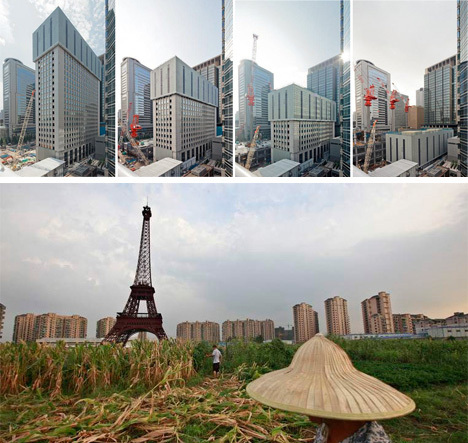 Nearby China, in turn, presented designs for an incredible car-free city whilst simultaneously making the news for an array of deserted urban endeavors, including a surreal smaller-scale replica of Paris. 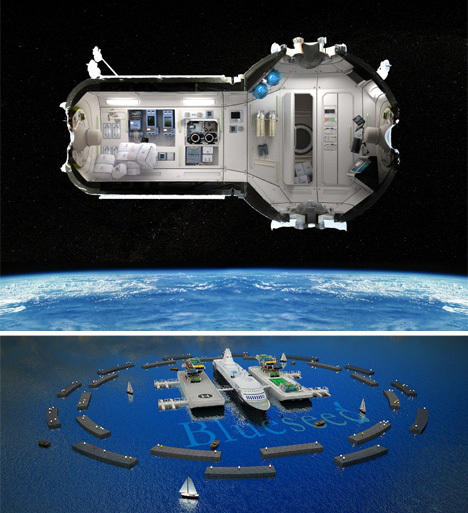 In the realm of futurism and fantasy, this year included a Russian space hotel design and artists making floor plans from famous American television shows. But fact can be stranger than fiction, as many commented on how much this dark tower in South Africa resembled the setting of a dystopian film. And in a bid to push urbanism beyond the borders of continents and countries altogether, one entrepreneur floated the idea of an entire high-tech offshore city. In turn, IKEA is also stretching the boundaries of architectural interventions with its portable $1000 flat-pack refugee shelter. Our ongoing 7 Wonders Series is a long-standing fan favorite and well worth browsing for travelers and urban explorers. 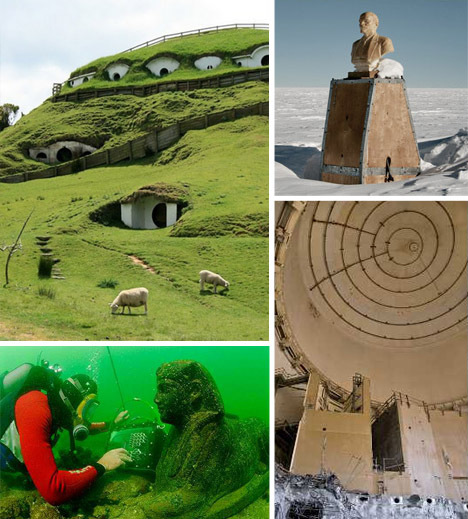 Many of these collections showcased abandoned places around the world, including top-secret buildings and underwater wonders; some were classed by broad type, including military, residential, commercial and industrial architecture, while others were organized by region, like Antarctica and New Zealand. Still others were even more specific, including sets of abandoned ski resorts, swimming pools, bookmobiles and unfinished nuclear power plants. 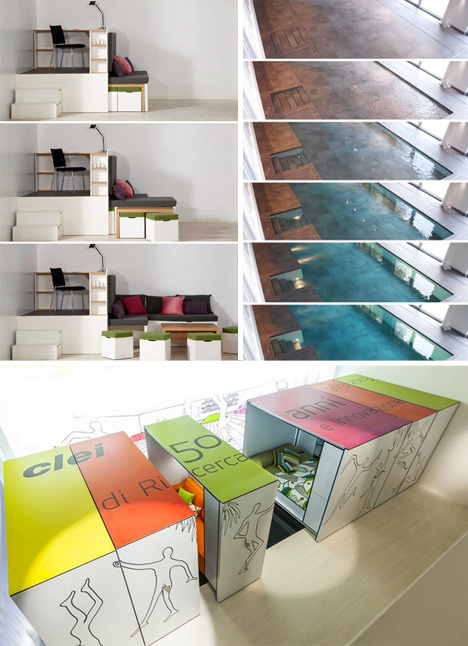 Shifting back to contemporary creations and cutting-edge design, we have seen some great innovations when it comes to modular rooms and convertible furniture, including an apartment where everything its occupant needs is hidden in floors, walls and ceilings. For those with a bit more space (and money) and an eye for luxury, there are also secret in-floor swimming pools that hide right under your feet – perhaps a reasonable place to deploy your fold-up suitcase kayak, too. Almost everyone, it would seem, loves a helpful space-saving design or a mysterious secret room, hidden passage or trap door. 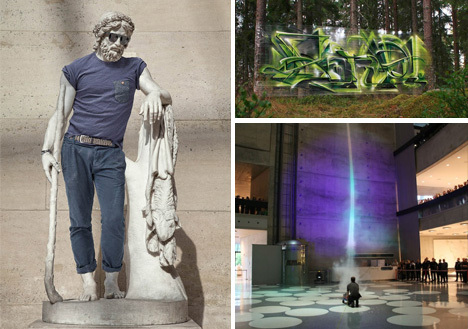 In the arts, we saw everything from invisible-ink graffiti and hyper-realistic artworks to the world’s most-vandalized landmarks and ancient Greek statues turned into modern-day hipsters. In technology, we looked back at idiotic inventions from times past and forward to futuristic materials that actually exist today. And at the increasingly interesting intersection of art and technology, we found graffiti artists tagging low-tech cellophane as well as the most powerful man-made tornado in a museum. WebUrbanist has managed a few milestones itself this year, with over 10 million visitors in 2013 alone (60 million+ total to date) and over 20,000,000 article views, also breaking a single-day record with nearly 500,000 pages viewed in one 24-hour period this fall. The site has topped 10,000 followers on Twitter and is nearing 50,000 fans on Facebook; those with a preference for Google+ can now add WebUrbanist to your circles there as well. We are (as always) working on some new directions and innovations of our own, with more surprises to come in the new year. Meanwhile, it may sound cliche but it bears repeating: you readers, fans and friends of the site who share our articles and support our team … you make all of this possible, and you have our sincerest thanks and best wishes for 2014.